You know there’s a story inside of you. A meaningful story, not just a fluff piece. Something that will inform, inspire and intrigue others. But every time you try to put it down on paper, you come up empty. It seems that no one else has this problem. New authors crop up every day, causing you to wonder what it is that they know that you don’t. How were they able to take their ordinary life and turn it into something people are eager to read? So you’re frustrated. You can sense that there’s a message or lesson or experience that you’re supposed to share with others. You know that if so many others can write an impactful story, you can too…if only you knew how. The good news is that you can successfully write your story. And the methods might not be what you expect. It’s important to point out that the primary problem isn’t that you can’t write or even that you don’t know what to write about. No, the overriding dilemma is fear. I know this firsthand. In fact, I continue to struggle with this in my own writing. As a commissioned biographer, I have no problems fleshing out interesting story lines and helping my clients write their books. But when it comes to my own story, I clam up. Why? If you’re like me, your fear could be caused by a host of concerns. You’re afraid that your story won’t be interesting enough. You’re worried that people will mock or ridicule your writing. You’re concerned that others will be offended by something you have written. But if you’re honest with yourself, you’re primarily afraid of making yourself vulnerable. I’ve always been a reflective listener. Throughout my life, this has served me well (especially when I interview clients), and it’s often appreciated by the people speaking to me. As an introvert, I have learned that listening to others is also a handy method of avoiding the need to talk about myself. Yet despite my hesitance to share personal experiences, I have an incongruously innate desire to tell my story. It’s not that I consider myself superior to anyone or that I possess all the answers to anything, but rather, it’s about knowing that my side of the story will be heard and that my experiences and insights might benefit others. My story is a work in progress, but here is what I’ve learned so far. 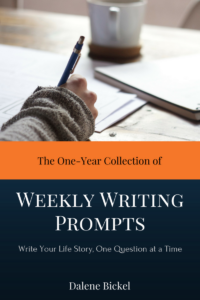 Perhaps this information can help you overcome your own writing barriers. Write them down and get them out. This may seem like a silly exercise, but as soon as you acknowledge your fears, they begin to lose their grip on your thoughts and actions. Set a schedule, determine why you feel it’s important to write your story and start writing. If you don’t actually carve out time to write regularly, the busyness of life will get in the way. Most successful authors recommend writing daily to get into the habit and for at least an hour at a time to get the creative juices flowing. It’s also important to keep the reason why you’re writing in mind at all times. This is excellent motivation to push past doubts when they resurface and to maintain your overall writing productivity. Finally, put pen to paper or type away at your computer and actually begin to write. Nothing ventured, nothing gained. You’re much more likely to write if you know that someone is going to periodically ask you how it’s coming along. Be sure to select someone who will be encouraging and supportive. 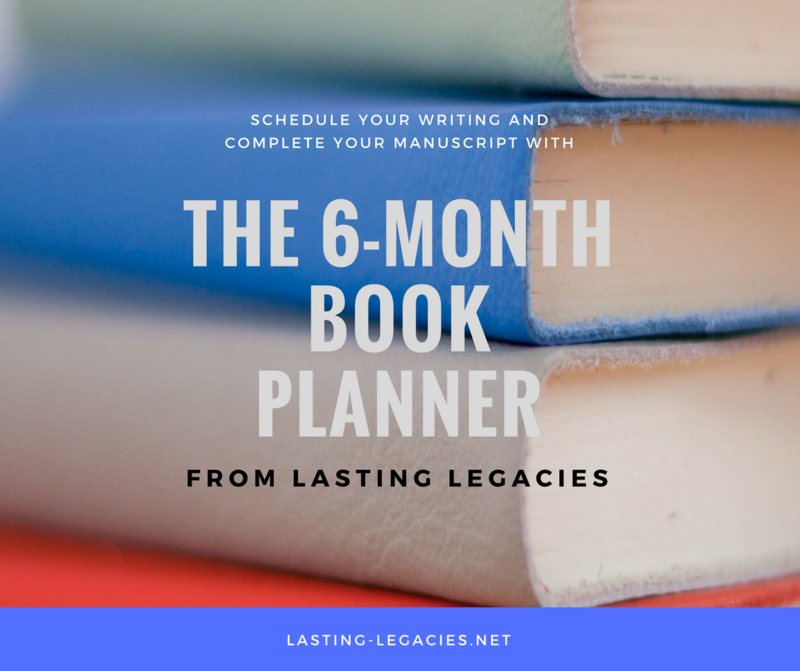 Tell them when you want to have the book finished (be realistic; if writing your life story, it generally takes eight months to a year) and ask them to check in with you from time to time. There are lots of moving parts to a story of any kind, and in order to learn how to do it correctly, you need to learn from experts in your field. As you gain knowledge and apply what you’ve learned, you’ll become more confident in your writing abilities. Discover writers with whom you connect, either because you write in the same genre or because you simply like their personality and the quality of their work. Subscribe to their blogs and interact with them on social media. This is the scariest part but brings the most rewards. During the writing phase, this can mean joining a local writing club, where everyone reads a portion of their work at each meeting and obtains peer reviews. Or you can pitch a portion of your story to a magazine, blog or writing contest. My very first submission was a short story about my challenges as a work-from-home mom. I worked my tail off on that piece and revised and revised and revised it. As the deadline loomed, I questioned whether I should bother sending it. Even though I had done my best and followed the submission guidelines, I was certain that it was nowhere near the caliber of the nearly 2,000 other submissions. I was astonished when I received an acceptance letter stating that my story would be included in Chicken Soup for the Soul’s book, The Multitasking Mom’s Survival Guide. This didn’t mean that I had “arrived” as a writer by any means (I should point out that my next story submission to a different contest did NOT get accepted), but it gave me that little boost of confidence that yes, my writing does have potential. Like all writers, I need to continue to refine and enhance my writing skills. It’s important to recognize that successfully writing a book is only half the battle of overcoming your fears; making the completed book available to your intended readers is the other half. Maybe you don’t want to make your story public to the world at large, and that’s okay. But make sure that you provide family and friends – and your target audience – with your story. Only then will you have truly pushed past all of your writing fears. What about you? If you’ve experienced writing fears, what other ways have helped you to push past them? Please share them in the comments!